Is Retirement Another Chance to Change Your Major? Last week I had lunch with a good friend of mine who is between jobs. We talked about his job search and time off and he expressed how much he was enjoying this period of time. He got my attention, when he said that he “could easily get used to being retired”. I couldn’t help but laugh as I said to him: “that’s because you are not retired – you are on a long vacation – don’t confuse the two”. We bantered back and forth on this for a while as he insisted that he could easily get accustomed to “doing nothing all day”. In fact, he remarked how time flies when you get up late, run errands and relax. I noted that he was very active at two things that he wouldn’t be doing when he actually IS retired. This was almost too easy for him to miss, as this brief period of time off from work was filled with both purpose and focus. First, he had children living at home who needed help at times with various things – he was still very much involved in their lives. Secondly, and the most obvious, was that he was focused on getting another job. While he was not job-hunting 24×7, he was investing the appropriate time in his search. This is not the typical experience one has when they do “retire”. I asked my friend to imagine, if he could, what it might feel like to not be looking for work OR having the kids dependent on him. How would he spend his time? Imagine you no longer had a mission or focus but rather you were free to drift. Sounds good for a while but would you get bored? 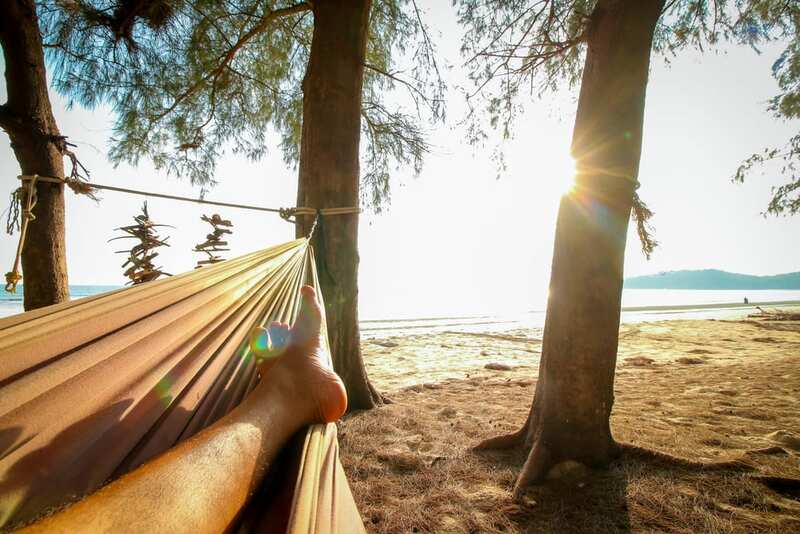 When you are on a “vacation” it should feel like one – a break from the buzz of work life – when you can rejuvenate, reflect and gain some balance in your life. But, that vacation time will end at some point. When you are retired – this is your life – not a vacation from working. So, how does one take steps to ensure retirement life is as fulfilling as those real vacations? In retirement life, it’s important to be “moving towards” something complete with purpose and meaningful activities that you will enjoy. This way, when you have moments of “doing nothing” you will feel more comfortable and satisfied knowing that you also have other activities that will create balance and fulfillment. Here are two key lessons I got that day in thinking about a transition to retirement. 1) Recognize what you are leaving behind from your work life and examine if you will need to replace any of it. In my friend’s case, the socialization, identity, status, structure and paycheck were important to him and would likely continue with the next job. When you retire – you may miss some of these. Something to think about. 2) Having a purpose and meaningful activities in your retirement life can help make your “doing nothing” time more enjoyable – as you will have achieved a good balance for yourself. The same way vacation helped balance you in your working years, fulfilling activities can balance you when you retire. Upon reflection, my friend admitted that he hadn’t considered how he would replace his job search and his children’s activities – it was not easy to imagine. Fortunately he was years away from this but nevertheless, the message stuck. Time is your biggest asset in retirement – managing it is a challenge. Without a purpose and focus, it can turn into a lot of “doing nothing”. That’s fine when you are on vacation but remember, vacations end, retirement goes on for a lot longer!